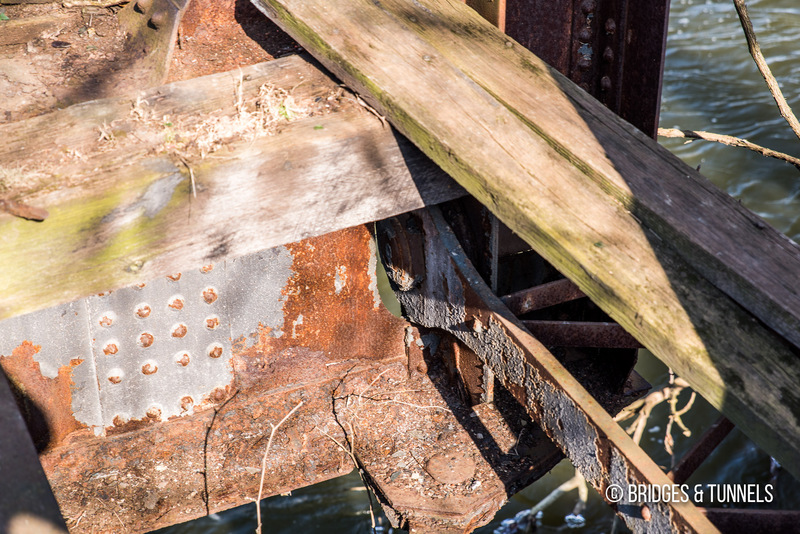 This crossing could have been designed by the Penn Bridge Company of Beaver Falls. 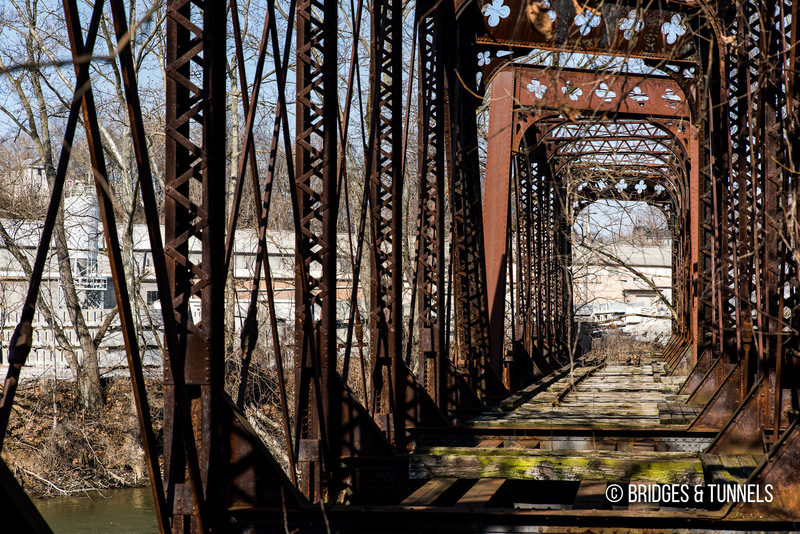 The Shenango River Bridge is located at the site of the former Aetna Iron Works, a rolling mill and nail factory that was constructed in 1838. 5 It included one water-powered rolling machine, two heating furnaces and eight nail machines. A new nail factory, with 22 additional machines, and a bar and guide mill were erected in 1846. A chartered stock company was formed in 1850 under the name Cosalo Iron Company. 5 The company was acquired by the Crawford brothers in 1858 only to be sold to the Dithridge & Company of Pittsburgh who rechristened the site as the Lawrence Iron Works. It was sold in 1872 to the Onondaga Iron & Nail Works. Two blast furnaces were completed in 1867 by the Lawrence Iron Company, each with a capacity of 40 tons per day, with raw steel being supplied to Onondaga. 5 The furnaces were operated by the Lawrence Iron Company until 1872 when they were sold to Onondaga. 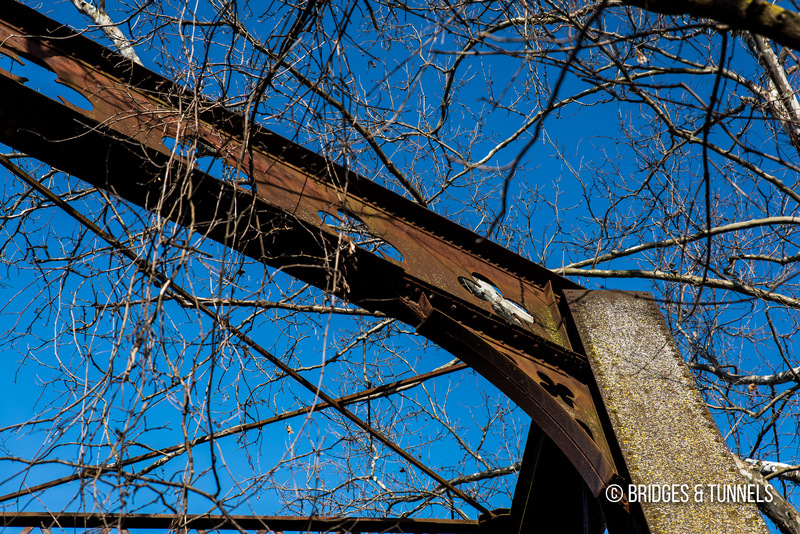 The factory was later sold to the Atlantic Iron & Steel Company and then the Republic Iron Works. During most of its tenure, the E&P hauled coal from lines south of Pittsburgh to the docks in Erie. 6 It also supported steel mills and other heavy industry in New Castle and in the Wheatland, Farrell and Sharon area. 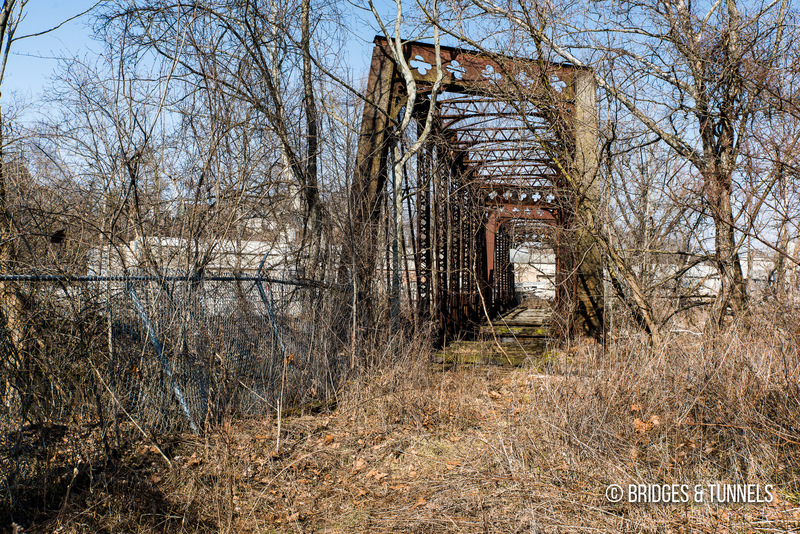 Not long after Penn Central was formed, the segment north of Jamestown was abandoned after a connection was constructed that allowed trains to use the former New York Central Stoneboro Branch to reach Ashtabula. 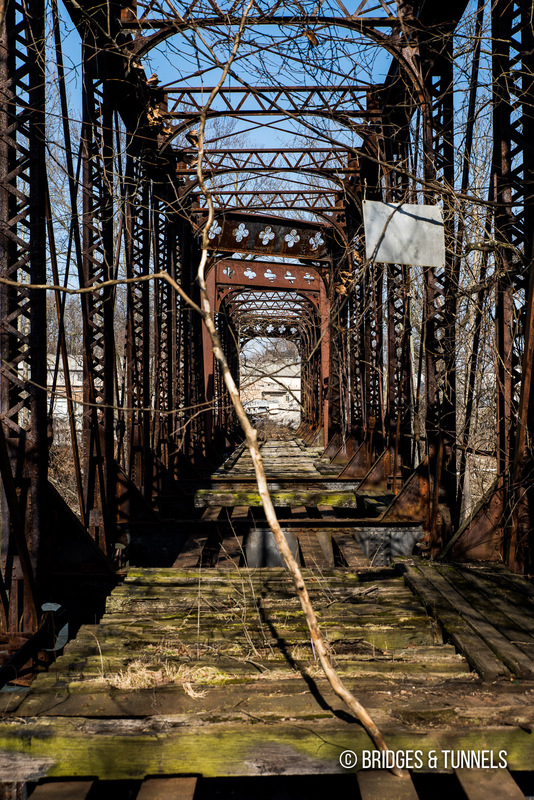 After Conrail was formed in 1976, the line between New Castle and Wheatland was placed out of service and then abandoned in 1982, 8 along with much of the line from Sharpsville to Jamestown. 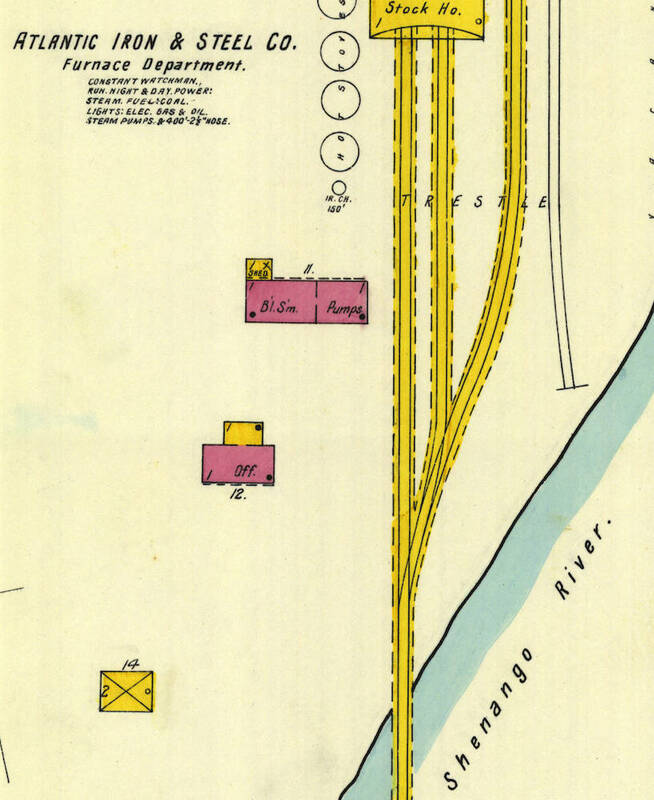 An 1899 Sanborn Insurance Company map indicates a 260-foot frame bridge. 3 The Atlantic Iron & Steel Company rolling mill at the confluence of the Shenango River and Neshannock Creek is indicated as being active, served by the New Castle & Shenango Valley Railroad (later, the New York, Pennsylvania & Ohio Railroad and then the Erie Railroad) and the E&P Railroad, with the blast furnaces north of the Shenango River indicated as being owned by the Atlantic Iron & Steel Company, served by the E&P. 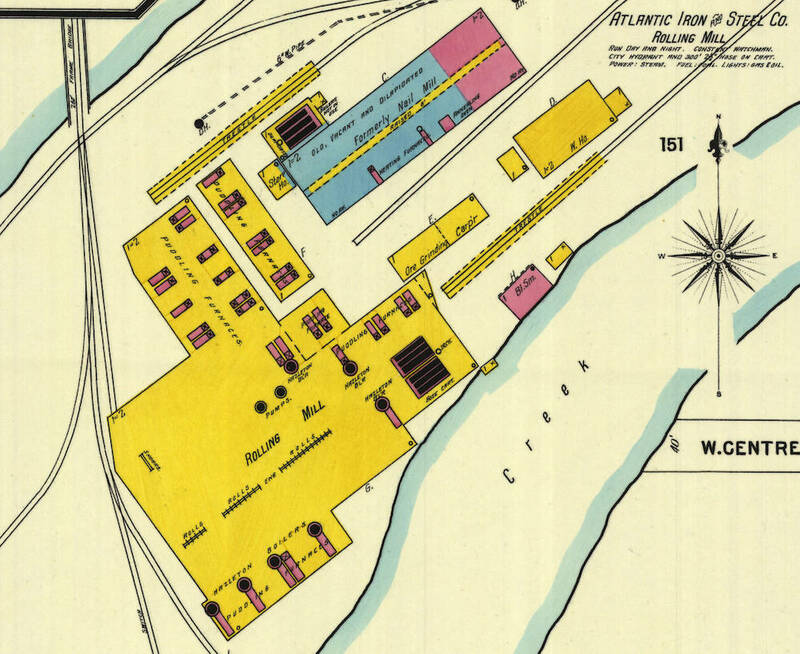 The 1904 Sanborn Insurance Company maps indicate there was a closed Atlantic Iron & Steel Company rolling mill at the confluence of the Shenango River and Neshannock Creek. 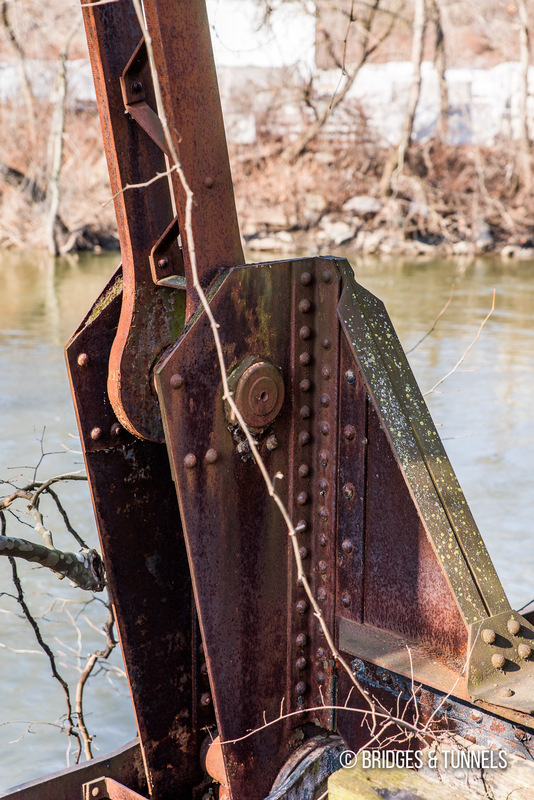 2 Operations north of the Shenango River were active, owned by the Republic Iron & Steel Company. Both were serviced by the E&P’s successor, the Pennsylvania Railroad. 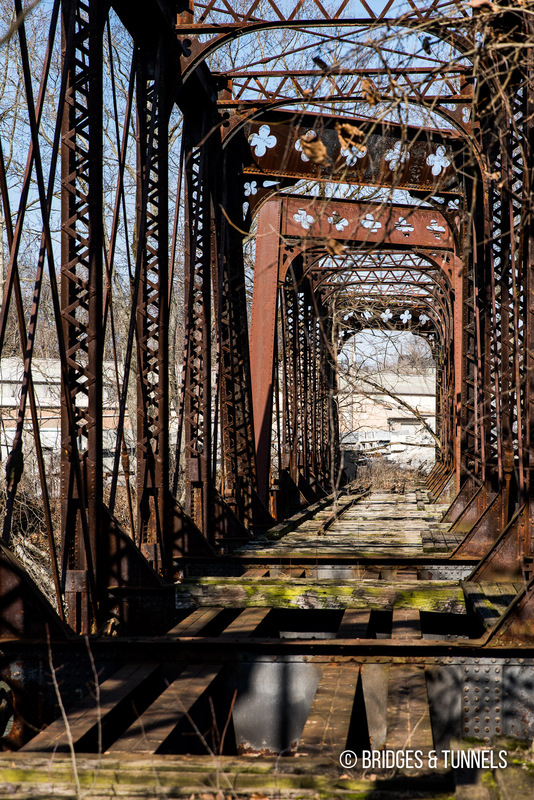 According to One Sure Insurance company, the type of insurances being had with railroads back then, paved the way to today’s insurance environment. “New Castle, Lawrence County, Pennsylvania, September 1920, new and additional maps.” PennState University Libraries, map. 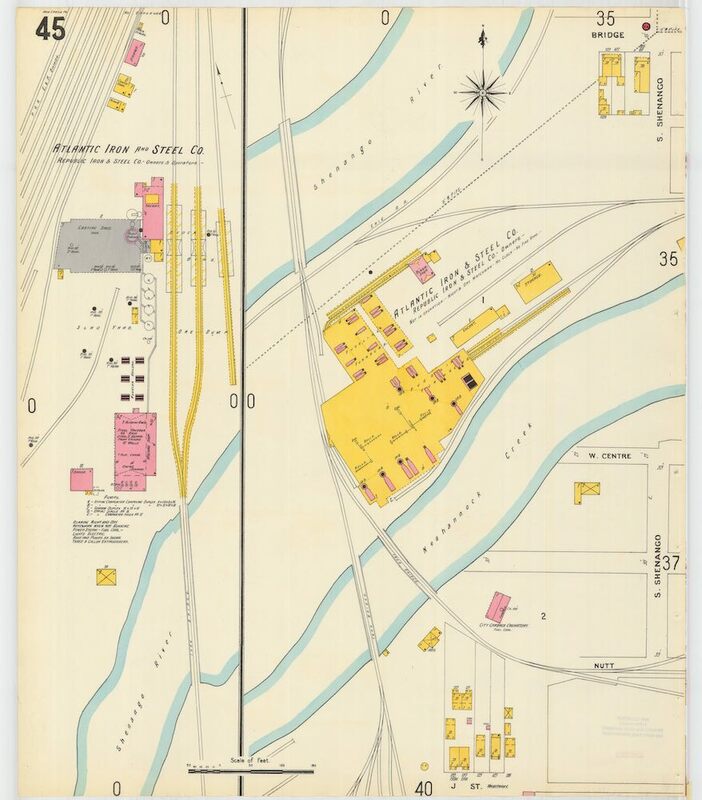 “Insurance maps of New Castle, Lawrence County, Pennsylvania, Oct. 1899.” PennState University Libraries, map. “Insurance maps of New Castle, Lawrence County, Pennsylvania, Oct. 1888.” PennState University Libraries, map. Hazen, Aaron L. “Aetna Iron Works.” 20th Century History of New Castle and Lawrence County Pennsylvania and Representative Citizens. Chicago, Richmond-Arnold, 1908. Jordak, Jerry W., editor. “Erie & Pittsburgh Branch.” Keystone Crossings, article. “History of New Castle Depicted in Essay by Franklin School Pupil.” New Castle Herald, 1 Mar. 1923, p. 8. Mercer County MPO Bicycle/Pedestrian Action Plan. Gannett Fleming, Sept. 2001.